School is Out and the Kids are Free(ish)! The kids are excited. It’s hot and the routine has loosened, a bit.� But, as a parent, if you are like me, school is never very far from mind. While we are out and about I still have to try to formulate the perfect educational blend for my kids who just want to eat popsicles, swim, and play Xbox (pretty much on rotation). Frankly, parents do not get the summer off from school. We have to worry about retained information.��Should I pick up these bridging workbooks? We have to make sure the kids are getting their reading lists done and not squirreling away their brains. We have to consider whether they are in the best place for success or if a change needs to be made. And, if so, then how?� How to afford it?� How to work out the logistics?� Now I have to get uniforms and books and make sure my activity fee payment is on time. Succinctly, thoughts of school persist for adults long after children have wished them away and moved on to their tans and friends. I administer two Facebook groups for homeschoolers.� Greater Houston Homeschoolers – GHH, a private group just for current Houston-area homeschoolers, and Greater Houston Moms Homeschool.� This one is a public group for those interested, those passing through the area, and businesses who feel they bring value to the homeschool market. All of this is to say, during the summer we field a lot of questions.� We see a lot of trial homeschoolers. And, we see a lot of converts who are furiously prepping for their first school year. What, pray tell, does this have to do with that weird title and Hotel Transylvania? It can be a scary leap.� It is a big decision. And, one that tends to weigh heavily on the primary teacher which, 99 of 100 times, is mom.� Should you homeschool? I feel like we have all been there. To let you know you are not alone no matter which way you decide to go we are hosting a scary giveaway for our Houston homeschool community.� And, it works in conjunction with the release of�Hotel Transylvania 3: Summer Vacation,�on July 13th, so you can catch up on all the fun! 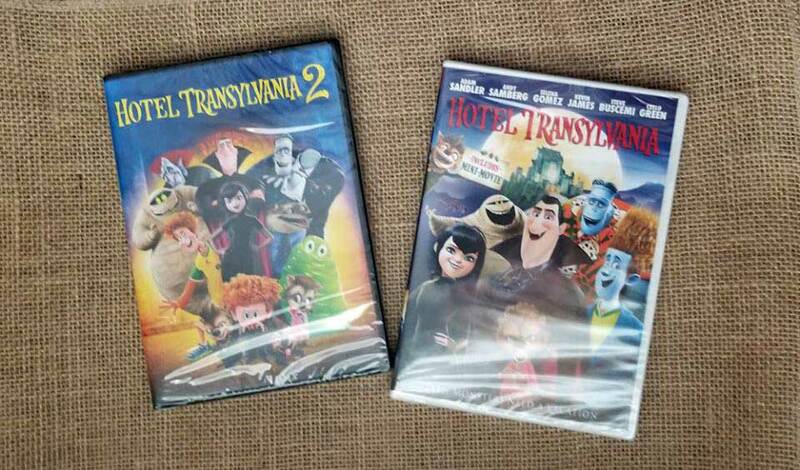 Grab your monster sized popcorn and get ready for the ultimate family night in because we have a double feature giveaway of�Hotel Transylvania�and�Hotel Transylvania 2�on DVD from Sony Pictures Home Entertainment.